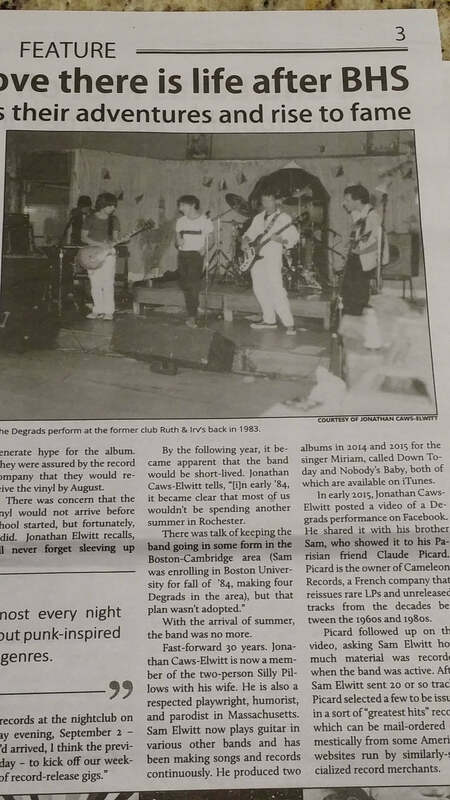 Recently, the Brighton High School newspaper,The Trapezoid, did a nice retrospective on the De Grads, an art Punk band from the early to mid 1980s formed by then Brighton High students and recent alums. The solid and well written piece fits well within Trapezoid ‘s long and award winning tradition. To learn some more about the De Grads, I turned to my friend Stephen Shapiro, BHS ’82, who now teaches English in England. While not in the band, Stephen was a regular in the Rochester music scene. Visiting Rochester when he can, these days Stephen especially likes Dinosaur, Lux and Abilene’s. 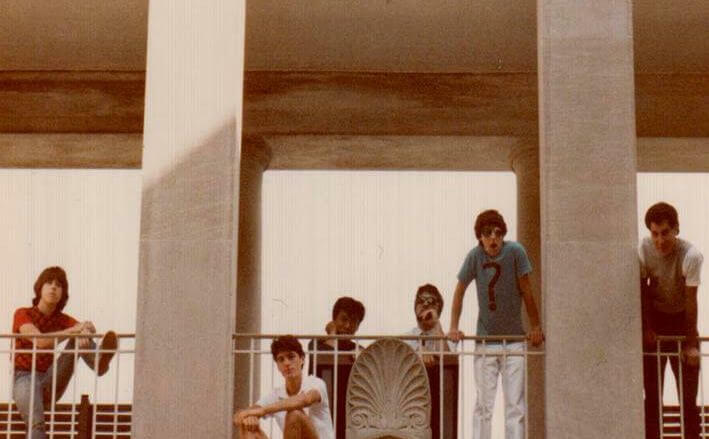 Describing the De Grads as “retro punk,” Stephen looks back at a mini-Golden Age for downtown Rochester live music, one that can be a model as the inside Inner Loop is revitalized. A Black soul/Rhythm & Blues club, Ruth and Irv’s Astrological Fish & Steak (88 North street, catty corner from Jim’s in the Liberty Pole area), was short lived, but known for its fixed drink price ($1.50). Ruth and Irv’s was one of the cluster of Rochester clubs that booked New Wave/retro-punk bands. The very early 80s, in retrospect, were a mini-Golden Age for downtown Rochester live music, with several clubs (Scorgie’s being the lead). A mainstay was the Calabash Lounge (265 N. Clinton St, which closed in 1987), a destination club to hear reggae in the 1980s. 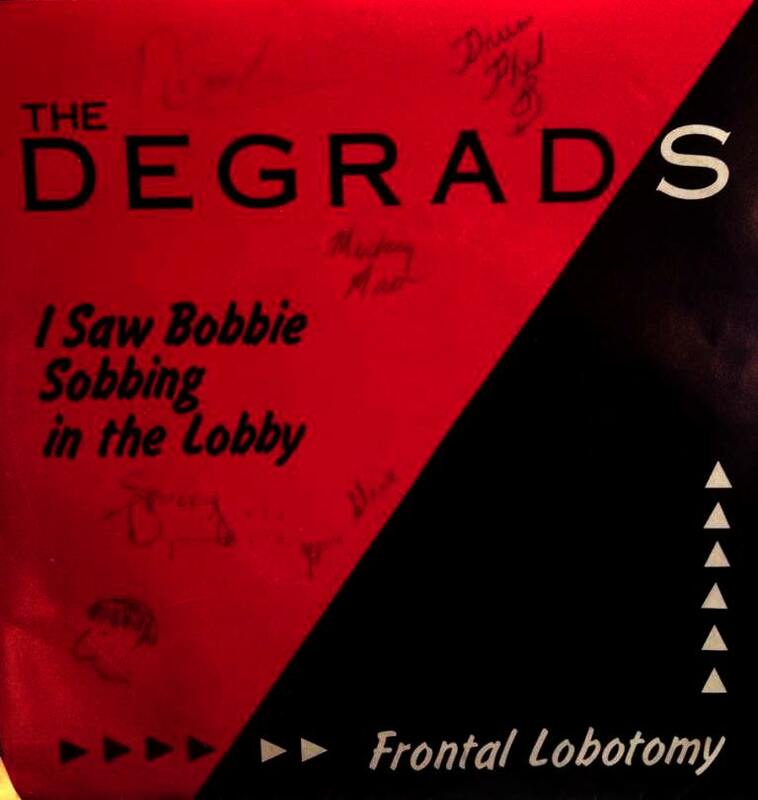 A new band like the De Grads had several places to gig, and Rochester had on for a time a few contenders for indy break outs, like New Math and The Chesterfield Kings , a “paisley underground” group (who the De Grads opened for). In recent discussions of how to revitalise downtown, it is worth looking back at this period to ask a model for a hive of activity running from Andrews Street (Scorgies) to the Liberty Pole area at a time when the city centre was said to be in decline. Several of these had mixed-race clientele, rare for Rochester, as white New Wavers were interspersed with Black disco fans. As Stephen’s hive of activity attests, downtown Rochester was never really dead and can be more alive than ever. Time for a De Grad reunion concert at the Rochester Club Ballroom! 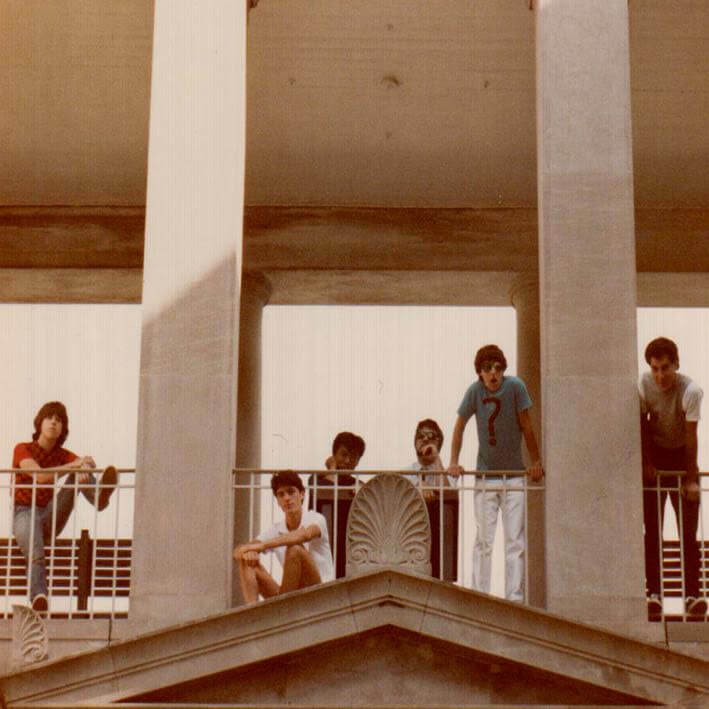 LINER NOTES: “This American group of Rochester released a single in 1983 and 8 new tracks here are incredible LP. Buzzcocks trend group but not that ….. Indeed, Television, Lou Reed, The Doors, Shoes and punk Arty also called on these 10 tracks dating back to 1983. The group consists among other brothers Jonathan Caws-Elwitt and Sam Elwitt, good at crushing, childish ditties, an ins / exhaustion of these influences that give enjoyable results with a singer who imposes unavoidable melodies thanks to its multiple variations of tone. 500 copies.” – Chameleon.